Born: 1859, Place not known. Died: October 1933, Surrey, England. Arthur R. Sawyer studied in Germany at the Polytechnic School in Dresden and the School of Mines at Freiberg, Sachsen. After working for some time in the coal mines of North Staffordshire, England, he passed the mine manager's examination and then continued his studies in geology and mining engineering at the Royal School of Mines, London. His first scientific paper, "Mining at Saarbr?cken, with an account of the structure of the coal-field" appeared in the Transactions of the North of England Institute of Mining Engineers in 1879. That same year he was appointed inspector of mines in North Staffordshire, where he was particularly concerned with mine safety. His work led to two books on the subject: Accidents in mines in the North Staffordshire coalfield, arising from falls of roof and sides (New York, 1887) and Miscellaneous accidents in mines (London, 1889). In 1889 Sawyer visited South Africa briefly and returned to England, but soon emigrated to this country to practice as a consulting engineer. Soon after his arrival he spent two years on the Selati gold-fields in eastern Limpopo. His work there led to an important publication, Mining, geological and general guide to the Murchison Range (Manchester, 1892, 96p), the earliest geological account of this 140 km long schist belt in eastern Limpopo. In 1893 Sawyer reported to the government of the Cape Colony on the geology and gold mining prospects of the Prince Albert district, where gold had been known to occur for some time. Giving particular attention to the region north and east of Tierberg (a mountain some 20 km east of Prince Albert) he showed that this mountain represents an anticline separated from the main range of the Witteberg beds to the south by a syncline. The Dwyka conglomerate he regarded as a volcanic ash - a view he changed later when G.A.F. Molengraaff* found clear evidence of its glacial origin - and found that it lay conformably between the Witteberg and Ecca beds. The prospects of the region as a gold-field were, however, not good. His Report upon the geology and mineral resources of Prince Albert and surrounding districts (G45 '93) includes the longest colour section ever printed in Africa, titled "Ideal geological section from the Indian Ocean to Fraserburg" (scale 1 inch = 800 Cape Roods, or c. 1:119 000). Soon after completing this report he went to Southern Rhodesia (now Zimbabwe) to investigate various gold-fields in Mashonaland for the British imperialist Cecil J. Rhodes. He collected hundreds of specimens, which he studied in England early in 1894, and wrote The goldfields of Mashonaland (Manchester, 1894, 99p, 21 maps), an important work and one of the earliest accounts of mining conditions in the territory. In 1895 the government of the South African Republic (Transvaal) appointed him as head of a commission to draw up mining regulations, which he did very thoroughly. In 1896 he resided at Heidelberg, Transvaal, where he was associated with the South Rand Gold Corporation and on its behalf requested permission to build an iron bridge across the Vaal River at Villiers. He also owned a coal mine at Heidelberg at this time. Over a period of some thirty years, mainly after the Anglo-Boer War (1899-1902), he spent much time searching for a continuation of the gold-bearing Main Reef of the Witwatersrand beyond the Vaal River, south of Heidelberg, below the younger rocks of the Karoo Supergroup. At least some of this prospecting, during 1913-1915, was carried out on behalf of New Rand Goldfields. However, he was not successful. In 1905 he became a special member of the Legislative Council of the Orange River Colony (now the Free State) and played an important role in drawing up the colony's legislation relating to gold mining. At that time he was managing director of the South (or Southern) Rand Gold Corporation. By 1908 he owned the farm Schaapkraal in the Free State. Sawyer wrote many papers relating to geology and mining in southern Africa. After his initial visit to the country in 1889 he contributed substantial papers on "Mining at Kimberley", "Coal-mining in South Africa" and "The Witwatersrand gold-field" to the Transactions of the North Staffordshire Institute of Mining and Mechanical Engineers (1889). 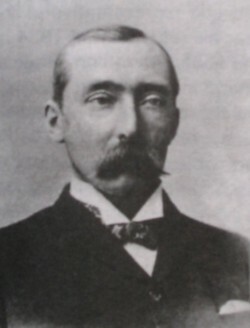 During the next twenty-eight years he contributed papers on various mining areas and deposits of possible economic interest to British mining engineering journals, for example, on the Witwatersrand gold-field, the Manica gold-field in Mozambique, the New Rand gold-field in the northern Free State, the South Rand coal-field, petroleum occurrences in the Free State, and the Tarkwa gold-field in Ghana. Sawyer was a Fellow of the Geological Society of London (FGS) and an associate of the Royal School of Mines (ARSM). In 1895 he became a foundation member of the Geological Society of South Africa and was elected as vice-president for its first year. He served as the society's president in 1904. Most of the papers he contributed to the society's Transactions dealt with aspects of the geology of the southern Transvaal. He became a member of the Chemical and Metallurgical Society of South Africa (from 1902 the Chemical, Metallurgical and Mining Society of South Afroca) in 1894, the year of its formation. For some time around 1906 he was a member also of the South African Association for the Advancement of Science. He returned to England for health reasons in 1932 and died there after a long illness. Anhaeusser, C.R. (ed.) A century of geological endeavour in southern Africa, 1895-1995 (pp. 15, 115, 117). Johannesburg: Geological Society of South Africa, 1997. Chemical and Metallurgical Society of South Africa. Proceedings, 1897-1899, Vol. 1-2, lists of members. Geological Society of South Africa. Proceedings, 1915, Vol. 18, p. xiii-xix, and 1920, Vol. 23, p. xii-xvi: Past presidents, and Lists of members; Transactions, 1895-1906, Vol. 1, 2, 4, 5 and 10. Journal of the Chemical, Metallurgical and Mining Society of South Africa, 1904/5, Vol. 5, Members. National Automated Archival Information Retrieval System (NAAIRS). . Documents relating to Sawyer, Arthur Robert / Sawyer, A.R. Obituaries: Arthur Robert Sawyer. Proceedings of the Geological Society of South Africa, 1933, Vol. 36, p. lxiv. Price, R.R.M. Catalogue of publications of the Geological Survey and government publications dealing with earth sciences. Pretoria: Council for Geoscience, 1997. Rogers, A.W. The pioneers in South African geology and their work. Transactions of the Geological Society of South Africa, 1937, Annexure to Vol. 39, pp. 1-139. Sawyer, A.R. The goldfields of Mashonaland. London: John Heywood, 1894. South African Committee for Stratigraphy (SACS). Stratigraphy of South Africa. Part 1. Lithostratigraphy... (p. 45). Pretoria: Geololgical Survey, Handbook 8, 1980.